Hyde Park provides a unique habitat in the heart of London for a diverse variety of species of flora and fauna. 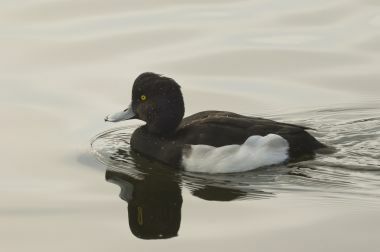 Close up of a Goldeneye bird on The Serpentine in Hyde Park. 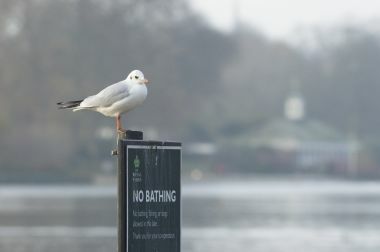 A Kittiwake bird sitting on top of a 'No Swimming' sign by The Serpentine in Hyde Park.